World Chocolate Day, which took place a few days ago on July 7th, saw an influx of tweets about chocolate and chocolate-related goods. 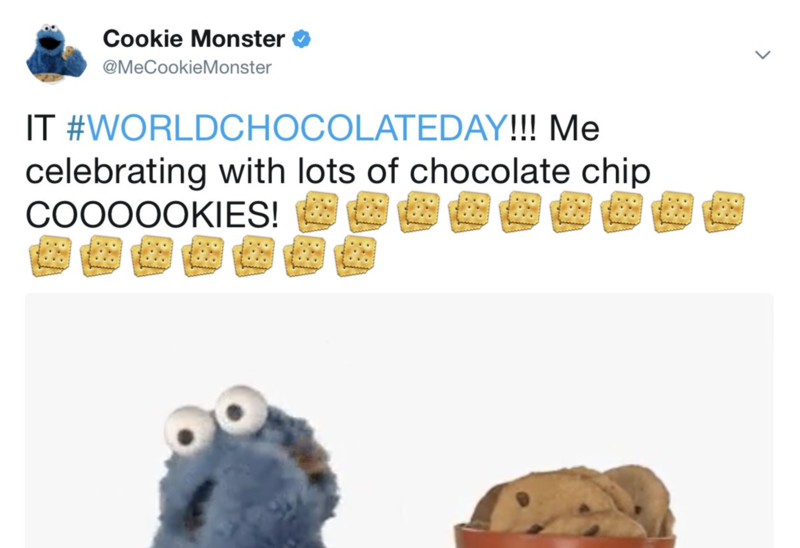 Within this influx was a tweet from @MeCookieMonster, the official Cookie Monster account, about how he was celebrating this joyous occasion with a large number of chocolate chip cookies. Following the tweet's text were 16 cookie emojis - that is, on most platforms. Apple uses a pretty realistic-looking cookie, complete with imperfections and shading. Google uses a cute, misshapen cookie that looks like it could have been drawn by a kid. Microsoft uses a seemingly MS Paint-rendered cookie, with a thick border and drop-shaped chips. LG uses a somewhat true to life cookie with chips of different sizes. 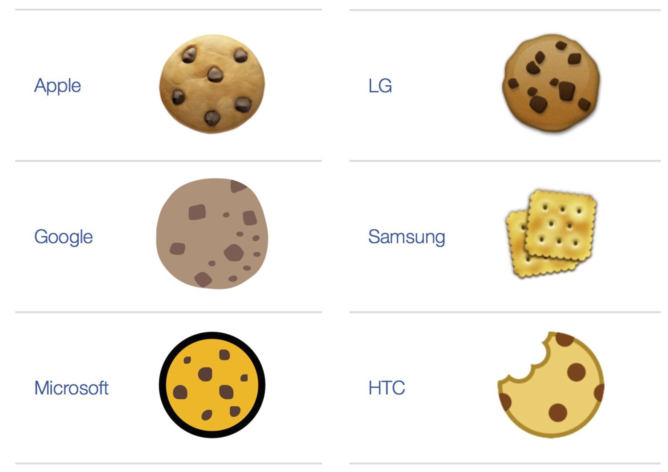 HTC uses a cartoonish cookie with perfectly circular chips and a bite into it. This is a fine example of a cookie. You'll note that all of the descriptions above contain the word "cookie" in them. So why exactly did Samsung go and design something that can only be called a very real-looking pair of "crackers"? Was something lost in translation between English and Korean? 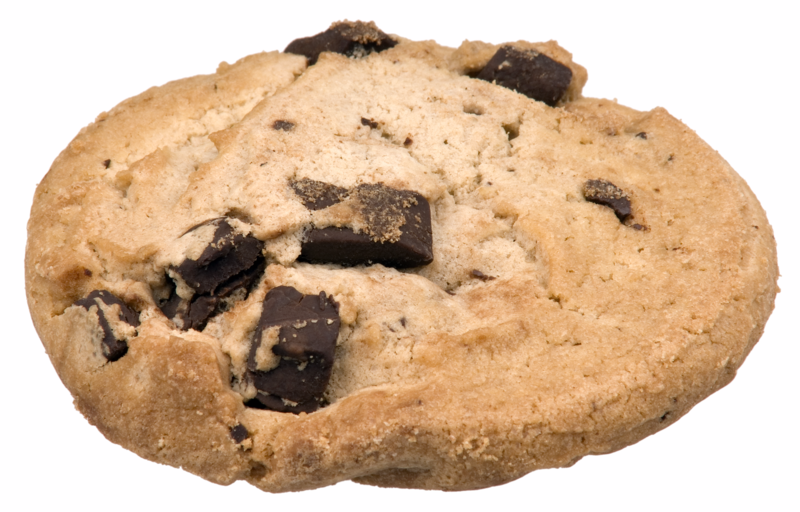 Have the designers never seen a chocolate chip cookie, the quintessential type of cookie? Whatever the answer to those questions are, we know for sure that Cookie Monster was embarrassed in front of the millions of Samsung users who could have viewed that tweet. They probably all pointed and laughed, not knowing that it was the manufacturer of their device that had failed them. Can you imagine all the cruel messages that must have slipped into Cookie Monster's DMs that day? If you have a Samsung device, you're part of the problem. So in solidarity with our beloved furry friend, please stand with him where Samsung wouldn't by praying that he have an unlimited supply of chocolate chip cookies for his entire lifetime. It's the only legitimate way to relieve yourself of the sins that Samsung ownership has brought upon you.